It's approaching mid-March and I don't think I've ever had this many plates spinning at the same time. That's not a complaint at all and oddly enough, I'd welcome a couple more things to do. I know I can't keep up this pace forever and vacations await. So the other day a new travel book fell into my lap. 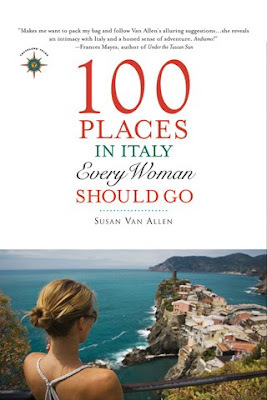 The book is Susan Van Allen's 100 Places in Italy Every Woman Should Go. Though Susan's targeting a female audience, her subject matter transcends gender. 100 Places is a terrific insider's guide. It's full of off-the-beaten-path treasures and fresh perspectives on old standbys. Whether it's the Piazza Barberini in Rome or Oplontis in Torre Annunciata, an insider's guide that lists places where I've already been gets an instant nod of approval from me. More than that though, Susan Van Allen makes my long to see the places I've yet to see. 100 Places is daydream fodder for me right now, but mark my words. I will see her 100 Places and add 100 more. You can read her table of contents (and buy her book) here. In an interesting twist, 100 Places has been turned into an iPhone app. Pretty great stuff all around. Saxon Henry is a great friend and contributor to this blog. She launched a new site a couple of weeks back called Roaming by Design. She is running a contest right now and the prize is the iPhone app version of 100 Places. All you have to do is leave a comment after her post and chapter excerpt on 100 Places. Poke around on Saxon's site while you're over there, she does a great job of combining her loves of travel, design, writing and everything else that catches her eye. 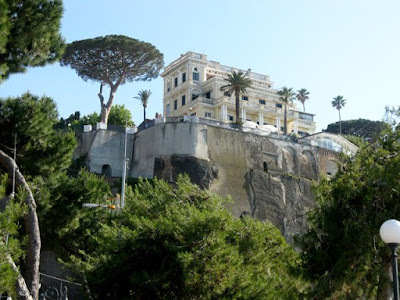 My photo of the Villa la Terrazza as seen from the Marina Piccola in Sorrento. Of course all talk of Italy brings me back to my incredible stay at the Villa la Terrazza in Sorrento in 2008. It's fast approaching two years since I looked out over the Mediterranean from the patio of the villa and I am dying to return. Photo from the Villa la Terrazza. This was our living room for one of the most idyllic weeks I've ever spent. Andrea Azzariti a fifth generation member of the Gunderrode family to own and maintain the Villa. He has a new website for it and it just launched. If you are ever looking for the ultimate get away, this is it. I cannot endorse the six apartments of the Villa La Terrazza and Andrea's hospitality strongly enough. It seems like a dream now, but there was once a time when I padded through this dining room every morning to get coffee and greet the day. The old marble counter in front of the window was the spot where I stood to chop tomatoes for bruschetta. I'll never be the same. Really. Included in Andrea's new website is the following video. Watch this and then tell me that the Villa la Terrazza isn't paradise found. Villa Terrazza - Our Incredible Trip! from Demir Gjokaj on Vimeo. Check out Villa la Terrazza's new site. Sighhhhhhh! What a breathless feel to this place. The word dreamy could have been invented for its totality. What an experience that must have been! Thanks so much for including me in the post, Paul. As always, you are so generous and articulate. Can't wait to see who nabs the iPhone app! Happy Thursday! The Sorrentine peninsula gets its name from the Sirens in Homer's Odyssey. Scylla and Charybdis were the Straits of Messina to the south and the rocks where the Sirens hung out were visible from our patio. Just offshore was Capri where the emperor Titus ran the Roman empire remotely. To the left was Mount Vesuvius and at the foot of it were Pompeii and Herculaneum, not to mention modern Naples. To stand in that kitchen and look out the window was to take in the entire sweep of western civ. Now, throw in making dinner from the market a couple blocks away while I listened to scratchy bel canto on the radio and it was almost too much to process. Oh drat, I leave for Europe & Italy Monday. Perhaps it's too late for me. I guess that's why they say, "That's what memories are made for." How could one believe they are actually experiencing such beauty in the moment when life is so rarely that way. It would almost be too painful to know we'd have to let it go! Thanks for sharing this: it's been like a mental respite for me on this cloudy (welcomed) day! Julie: Where are you headed and how long will you be gone? Saxon: You really need to land a gig on the Amalfi Coast. It is otherworldy, there's no other way to describe it. For two weeks I'll be mostly in Lisbon & Portugal in general, but I will spend several days in Paris, Venice, Florence and Rome as well. No one in Europe uses a dryer, there's your angle. Actually, that's not completely true but you will see laundry hanging out everywhere you go. But you'll have ample opportunity to contrast European appliances to their counterparts in the US. 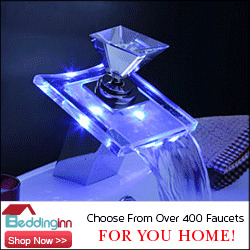 There are appliance and kitchen showrooms in all the places where you're headed. Have a blast and I look forward to your traveler's tales when you get back. Grazie for introducing me to Villa La Terraza--My favorite spot in Amalfi is Villa Scarpariello in Ravello--I have to check your spot out next visit...Can't wait--So glad 100 Places In Italy Every Woman Should Go inspired you to share Sorrento with us! Thanks for your comment! You've pulled together a real treasure of a resource in 100 Places and it's a real pleasure to share it. Villa Scarpariello sounds like charm itself, just form being in Ravello. One of these days I'll know I made it when I spend a few weeks at the Villa Cimbrone! I just looked at Scarpariello's website. Forget what I just wrote about the Villa Cimbrone. Wow! How can she not have a great time?! It never rains in southern Europe Brenda. Never. It has been so weird and crazy, everywhere. Even we are having Spring-like weather which is unusual for this time of year. I truly hope you are right and she has a wonderful time. I hate you! I'm supposed to be working, not sighing over past trips to the Amalfi Coast! And I didn't even get a chance to stay in nice places like Villa la Terrazza. You've been to the promised land? I swear, if it's the last thing I do I will stand on that balcony again. Thanks for the feedback on my site. I've been getting mixed reviews. I think people are change-averse. Plate too full? What's that? Besides, how many books are you working on now? Speaking of dryers in Europe and change aversion, I spent a couple months in northern Italy while a friend of mine did a management consulting gig for whirlpool. He discovered that each country in the EU prefers a completely different dryer (and washer!) with no chance that anyone is ever going change their particular persuasion. So forget economies of scale. The dryers in Italy took approximately a million hours to dry one load of clothes, allowing a trip to Porto fino and back before they were done. However, a small sacrifice to pay for experiencing the idylls of Italy. That beautiful villa where I stayed had a huge patio with a view of the Bay of Naples and Mount Vesuvius. It also had a clothesline. Hanging my laundry on a rope with that background made me feel so Italian! Thanks Paul and Brenda, I will have a great time! 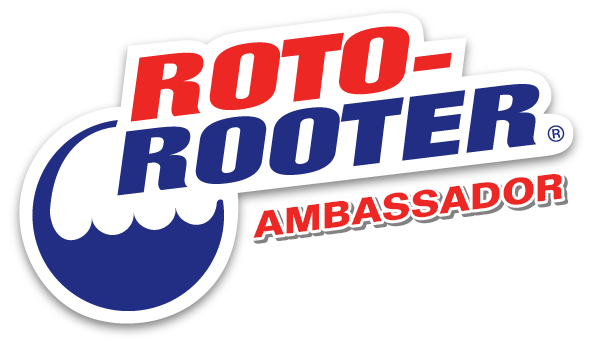 Julie: Sara's comment about her friend's job with Whirlpool and each country int he EU's dryer preferences is all the excuse you need to blog about your upcoming vacation!